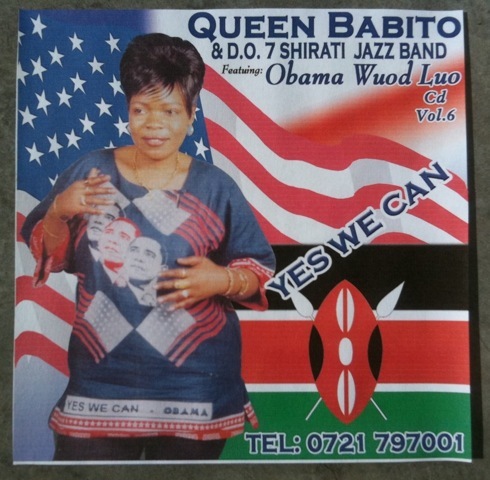 A Luo in the White House! Fantastic! 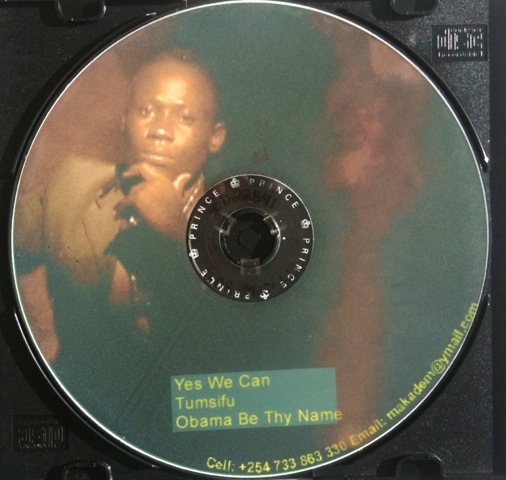 My favorite part of Obama’s book “Dreams from my father”, the part that really made me feel that he was the president of *my* country (as opposed to that country where I still can’t vote after 16 years of living here), was the trip to his motherland — especially when he’s hitting up the clubs in Nairobi with his aunties and cousins and “dancing into a sweat, arms and hips and rumps swaying softly […] to the soukous beat”. Yeah, he’s supposed to look all serious to the cameras, non-threatening to the average American, but you *know* he got to hear some of these, and managed to sneak in a bit of “rump” shaking into his busy schedule. I got a bunch more of these, but maybe that’s enough for now. But hey, in these days of tight budgets, I’ve told you that these and other treasures are accessible to you in our public libraries, right? This entry was posted in PELANGA RECORDS! and tagged benga, Kenge Kenge, Kenya, Makadem, Nairobi, Obama, Shirati, Soukous by Papicultor. Bookmark the permalink.